Randy Braga of the Philippines is set to face the OPBF featherweight champion Ryo Takenaka of Japan on October 13, 2016, at Korakuen Hall, Tokyo, Japan. Braga is a 28 years old boxer from Mahayag, Zamboanga del Sur, Philippines with the professional record consisting of 19W(5KO)-1L-1D. Braga is the current Philippines Games & Amusement Board (GAB) featherweight champion, he defeated Dunryl Marcos via RTD last July 2016 in Manila. Braga once fought for the vacant International Boxing Organization Inter-Continental featherweight title but loses via split decision against Macbute Sinyabi in South Africa. 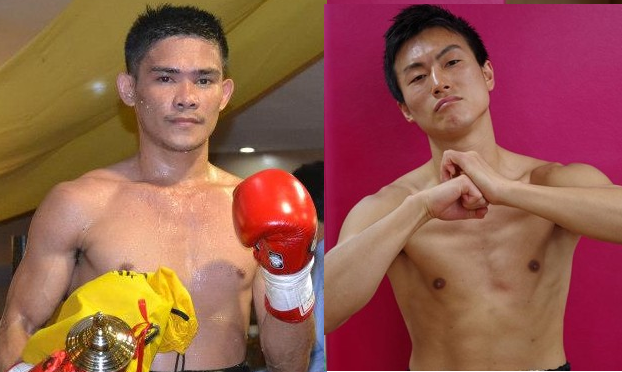 On the other hand, Ryo Takenaka is a 31 years old boxer with the record of 14W(8KO)-3L-1D. Takenaka is the current OPBF featherweight champion and he successfully defended it 2 times against the Filipino Vinvin Rufino and Japanese Akira Shono via both TKO.